A spectacular fireworks display on inauguration eve proved to be a real blast online, as the pyrotechnics left viewers open-mouthed when they spelled “USR” instead of “USA.” The goof prompted Twitter users to joke that Russia had “hacked” the show. Ha-ha. In his final night before becoming president, Donald Trump held a pre-inaugural concert in Washington DC. The show culminated in a traditional fireworks display, with the skies over the Lincoln Memorial in the US capital adorned with the American flag and three huge letters. Yet, what was supposed to burst into the sky as “USA” looked a whole lot more like “USR,” as Twitter users were quick to point out. Don’t believe us? Check it out for yourselves – the web is overflowing with screenshots and pictures of the fireworks fail – flavored with some juicy jokes as well. Some Tweets suggested it was all a prank played by the fireworks crew. 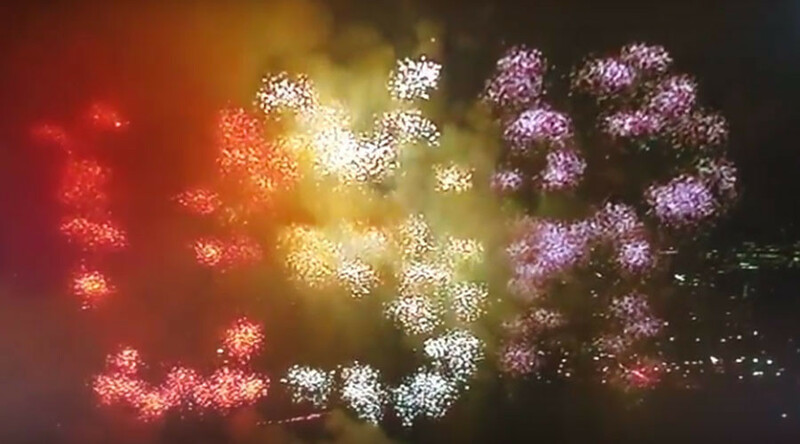 Still, the majority simply stated that the fireworks spelled “United States of Russia, no question there” and played around with the idea that Moscow had hacked the fireworks. It’s fair to say, that the reactions to the “Russia hacking fireworks” story were diverse – while some simply laughed off the idea that Russia was trying to be America’s “Big Brother,” which has recently been pushed in the mainstream media, others seemed to endorse the idea. The goof resulted in a new hashtag – #USR – which Russian Twitter kin have already proposed be used whenever Russian meddling is being discussed. It does look bolder than the old #russianhacking, doesn’t it?